A Republican candidate for Kentucky secretary of state will not have his professed nickname, “Trump,” printed on the primary ballot this spring, according to a directive from current Secretary of State Alison Lundergan Grimes. Grimes issued a statement on Friday saying that she removed candidate Carl Nett’s nickname after receiving a complaint from another candidate. “The Secretary of State’s Office determined that the candidate in question offered this so-called nickname in an improper attempt to gain an advantage on the ballot,” Grimes wrote. “Accordingly, the name of the candidate in question, Carl Nett, as reflected by the signature on his candidate filing papers, will be certified to appear on the ballot. Grimes is term-limited and can’t seek re-election. Nett is one of four candidates seeking the Republican nominationfor Kentucky secretary of state. There are also four Democrats running. The inclusion of the nickname could be a significant boon to Nett. Donald Trump won Kentucky during the 2016 presidential election by nearly 30 percentage points. 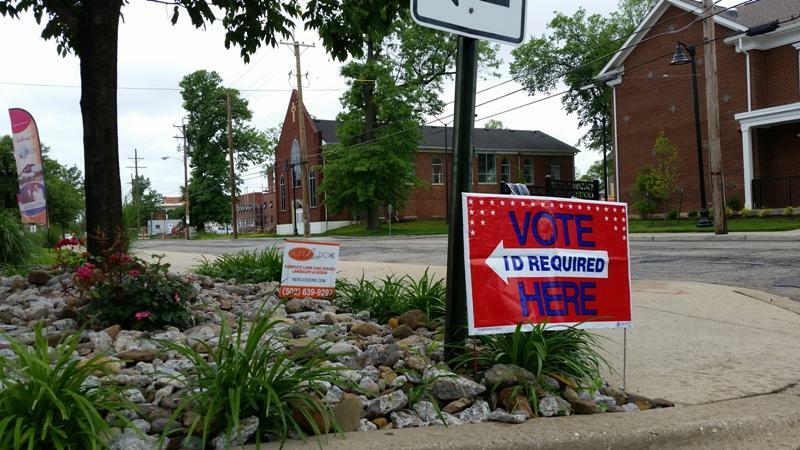 Monday is the day when the secretary of state’s office certifies candidates’ names for the printing of ballots for the primary election, which will take place on May 21. “His supporting evidence exceeded the requirements of the statute and showed that he was entitled to have that nickname printed on the ballot,” the statement read. Nett claims that “angry members of a competing faction in the Republican Party” gave him the nickname in 2015. He said he would take legal action if his nickname does not appear on ballots by the time they are printed. Today is the deadline to file to run for governor and other Kentucky constitutional offices like attorney general and secretary of state.